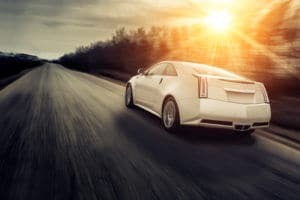 Maybe you’re thinking about selling your used car for cash in Honolulu so you can start saving up for an electric or self-driving car as they begin to roll out. If so, you may not be the only one! According to news reports, GM plans to transition to these new-age vehicles and is closing five facilities in North America. Chevrolet Volt, with sales plunging 13.7% through September of this year. Chevrolet Cruze, top pick of Consumer Reports compact cars in 2017. Sales have plummeted more than 26% on the Cruze. Chevrolet Impala, the top pick in 2018 for large cars by Consumer Reports. Impala sales have fallen 13.4%. Buick LaCrosse, whose sales have fallen by just over 14%. Cadillac XTS, which has actually performed fairly well with sales increasing by 15.9% after updates to the design. Reports say this make sells to taxi and limo companies for the most part. Cadillac CT6, with sales down by 10.6%, the most unpopular Cadillac of them all. In November GM announced a major restructuring of the company’s global business, saying that salaried workforce would be reduced by 15% while five North American production facilities would be shut down along with the staff at those facilities. If you are in the market to sell your used car for cash in Honolulu, count on CarMark Hawaii for the best deal and a stress-free, fast process. We’ve been in the business of buying used cars for cash for more than 25 years, so you can expect the best experience and customer service.